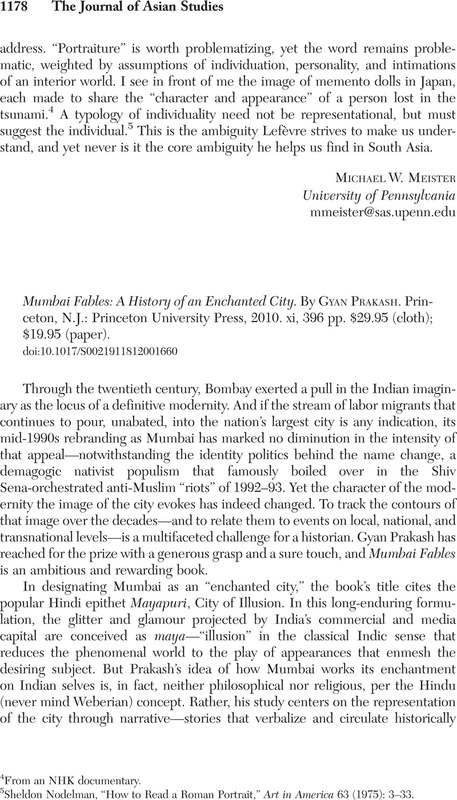 Mumbai Fables: A History of an Enchanted City. By Gyan Prakash. Princeton, N.J.: Princeton University Press, 2010. xi, 396 pp. $29.95 (cloth); $19.95 (paper).